Original acrylic painting Blue Abstract Painting on hand stretched canvas. 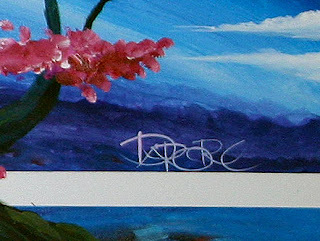 Width 24 by height 24 inches. The painting is straight blue with a small amount of white accents. Wired and ready to hang. Back stapled and the sides are painted black. 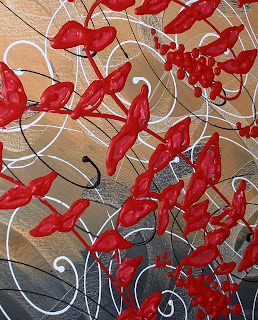 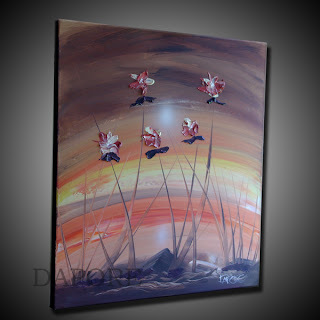 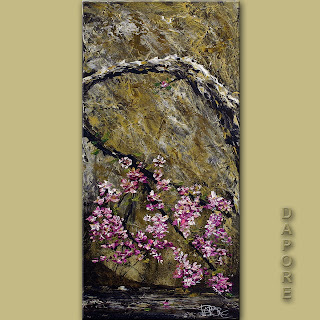 Made available 5-19-2012 original acrylic painting floral with textured thick raised flowers. 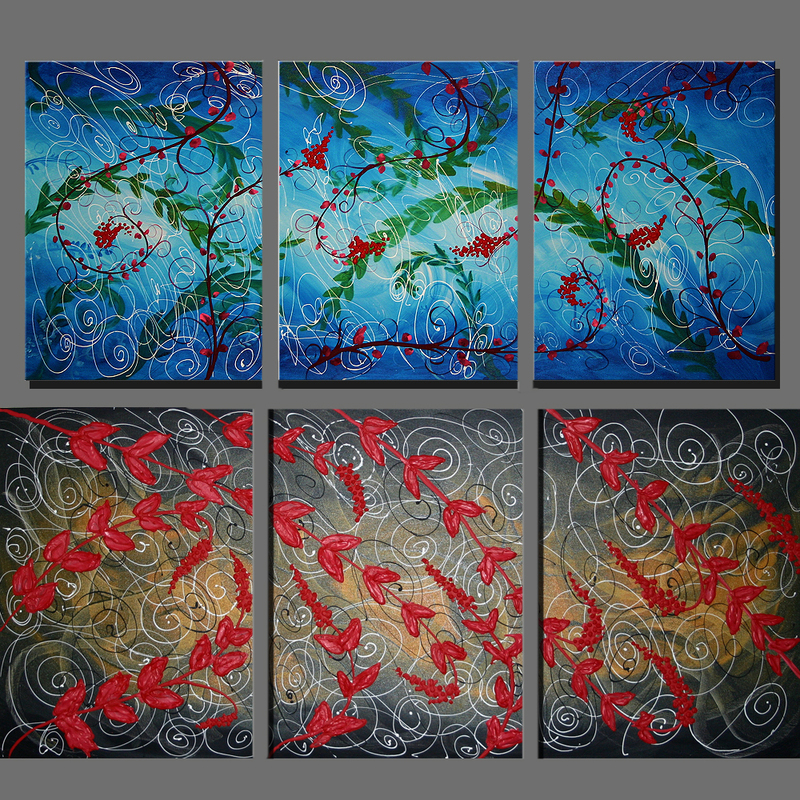 Painted on a 24 inch square canvas, wired and ready to hang. Signed dated and title by artist painter Theo Dapore. 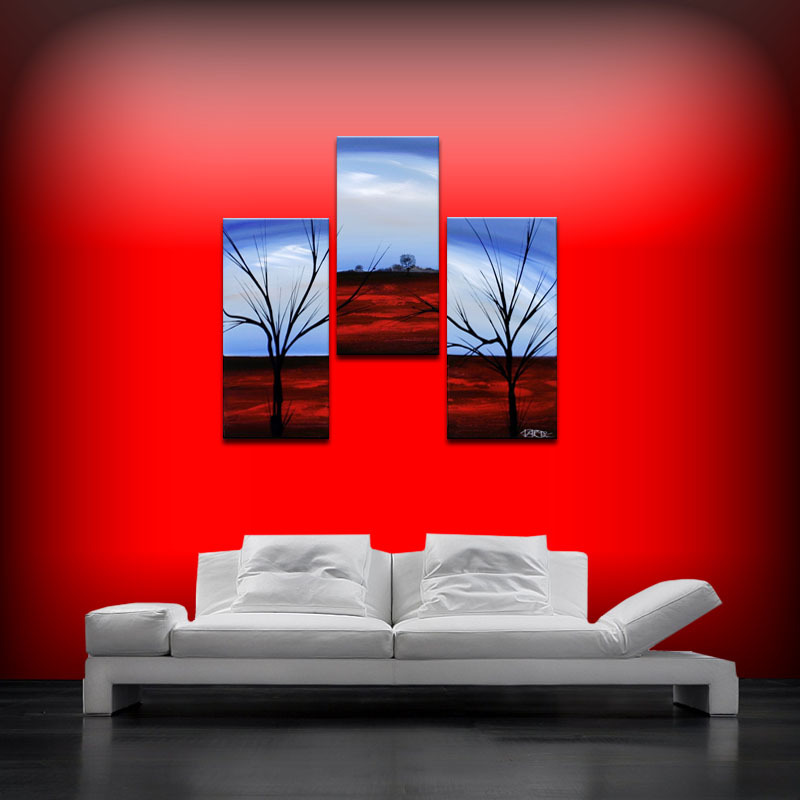 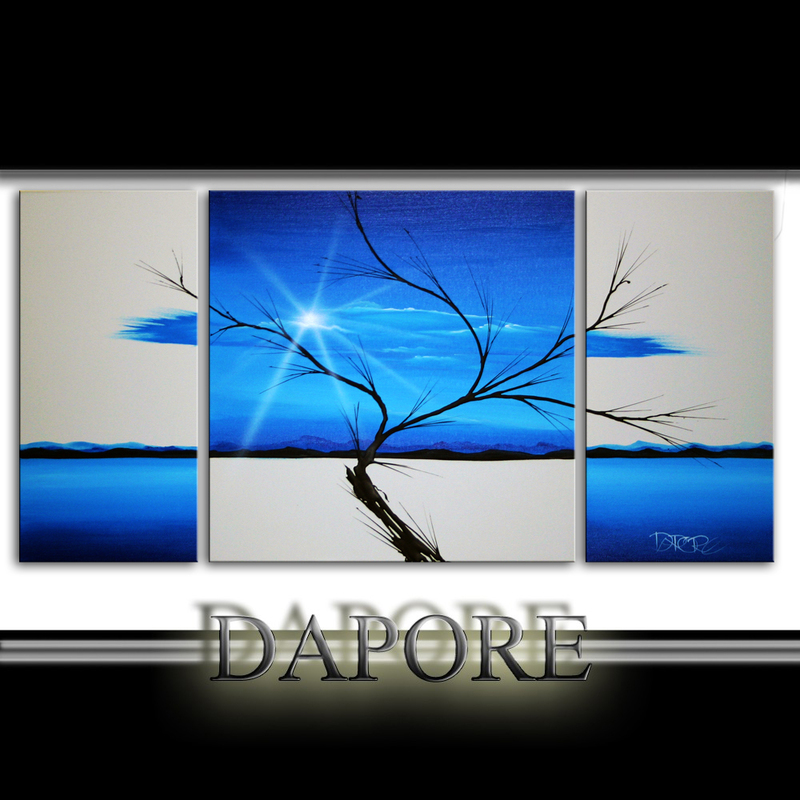 Large 24x48 landscape painting on three canvas set blue and white. Unique clean minimalistic fluid blending with a thick raised tree silhouetted tree. 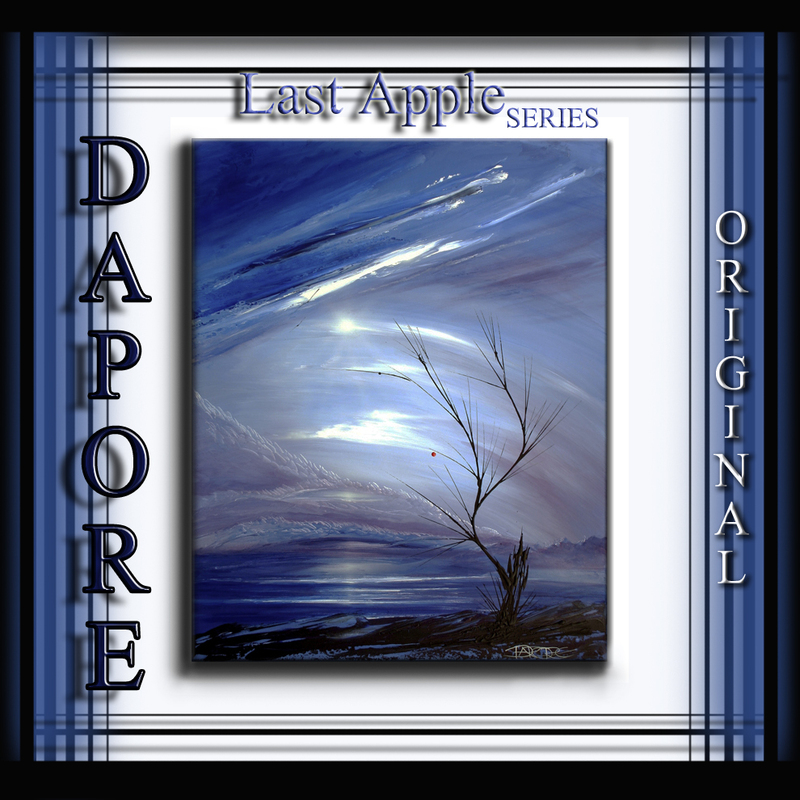 Popular series by artist Theo Dapore. 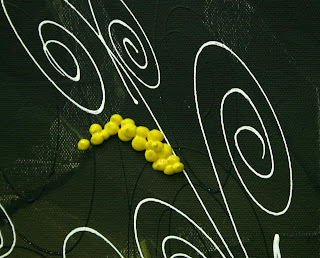 The artist paints in this series the concept in other color combination and sizes. 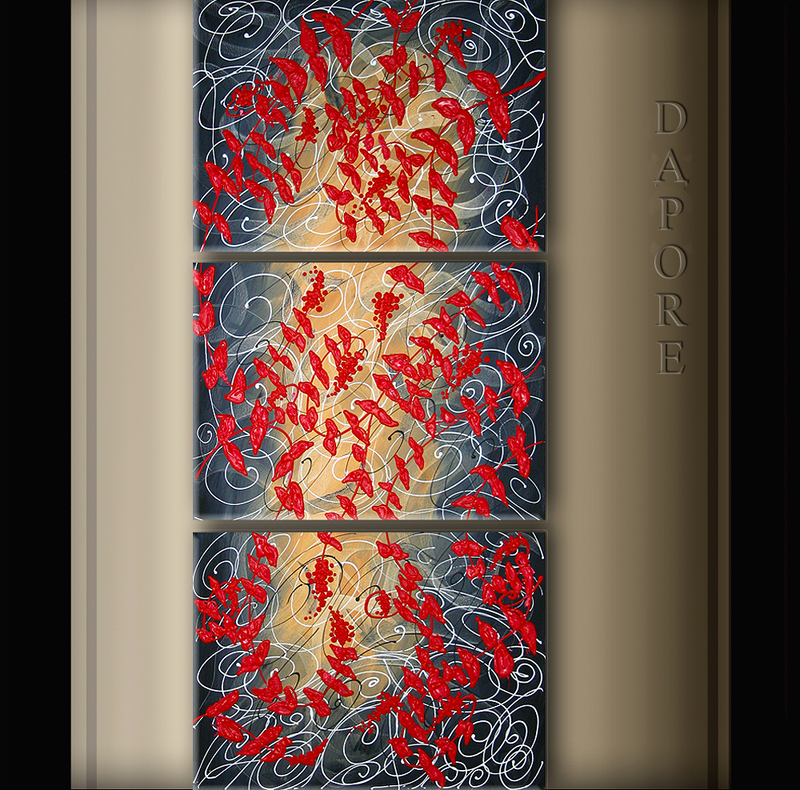 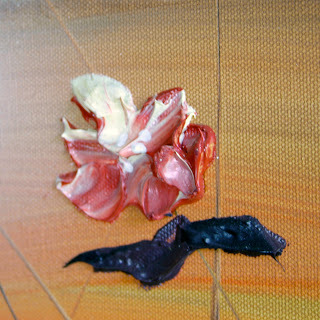 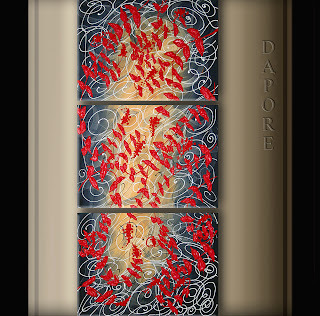 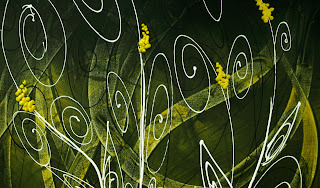 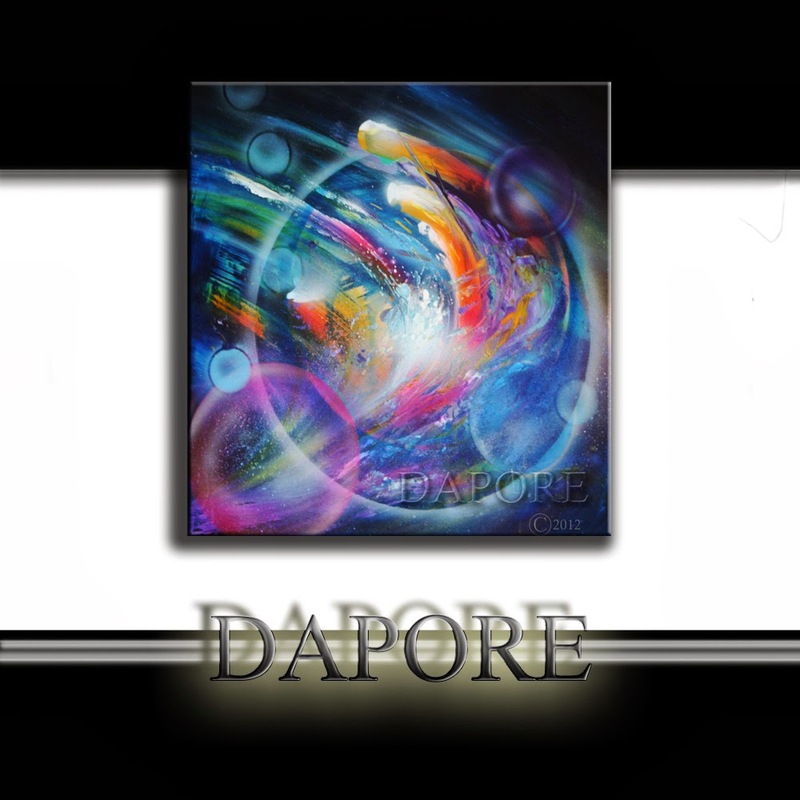 New art release 8-11-11 by artist Theo Dapore. 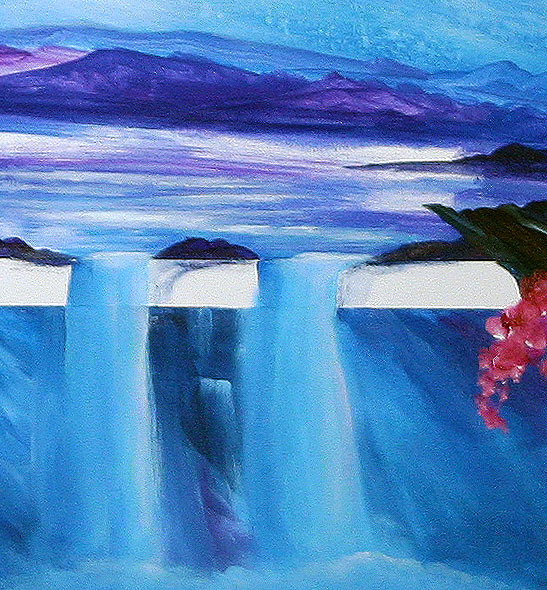 Modern large 24x54. 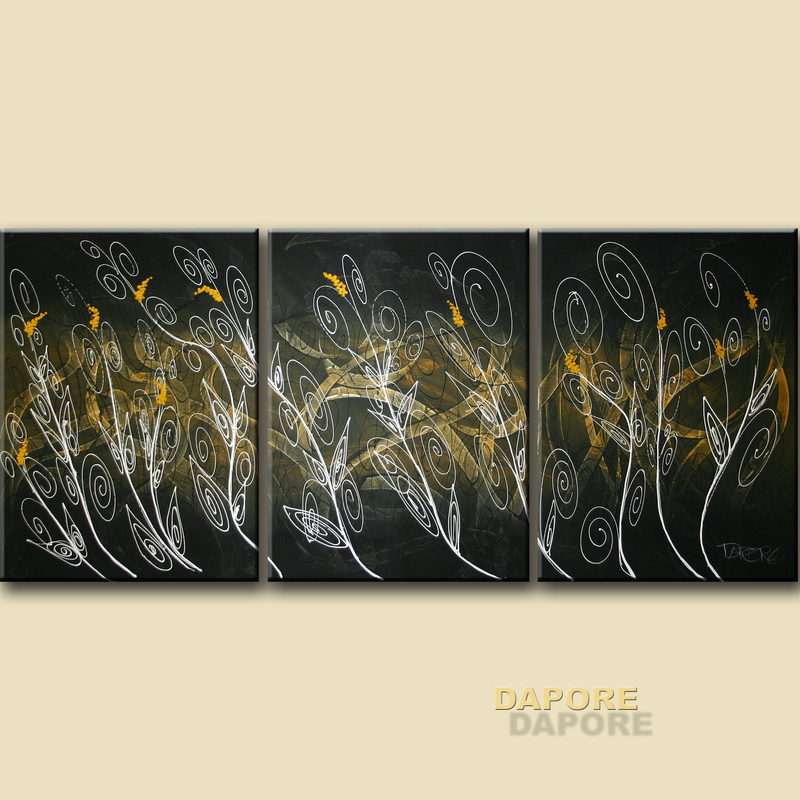 Original acrylic on three canvas set. 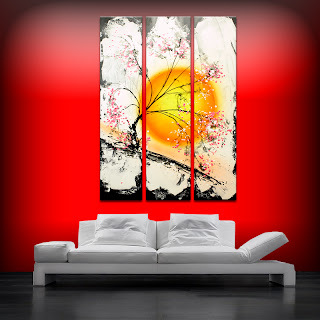 May be hung horizontally or vertically. Registered artist with the National fine arts title registry. 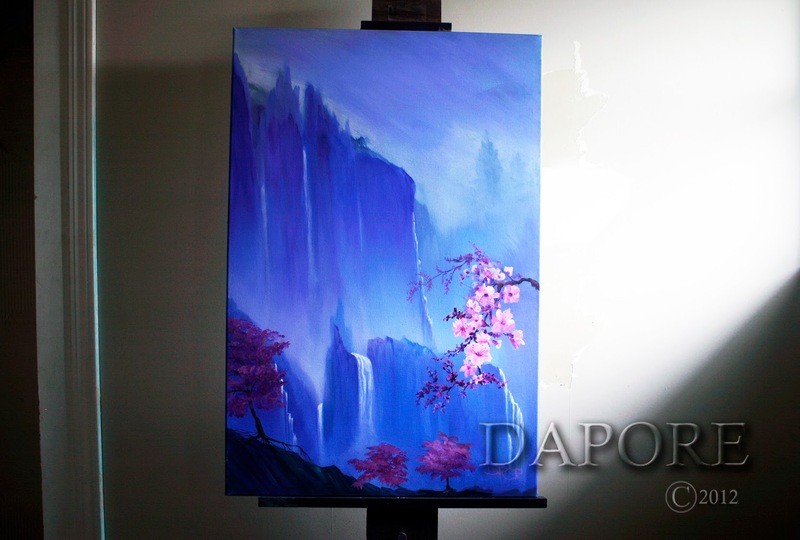 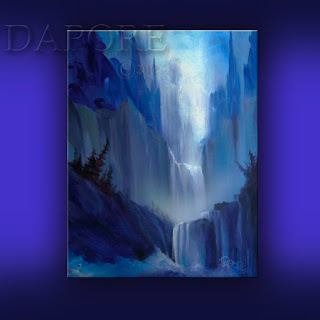 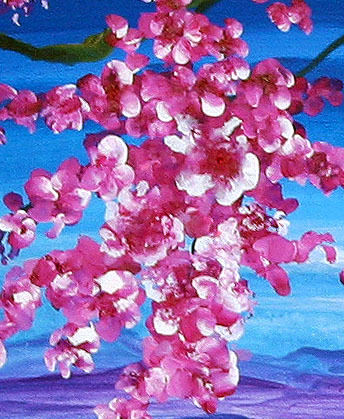 New art release 8-7-11 Original acrylic painting by artist Theo Dapore Cleveland, Ohio USA features irregular canvas pattern of a flowering cherry blossom tree branch against a blue mountain waterfall background. 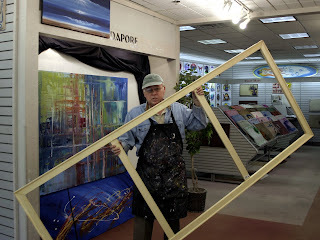 This large formatted painting is 56 wide by 26 in height and include solid oak mounting braces that connect all canvas together for easy installation. 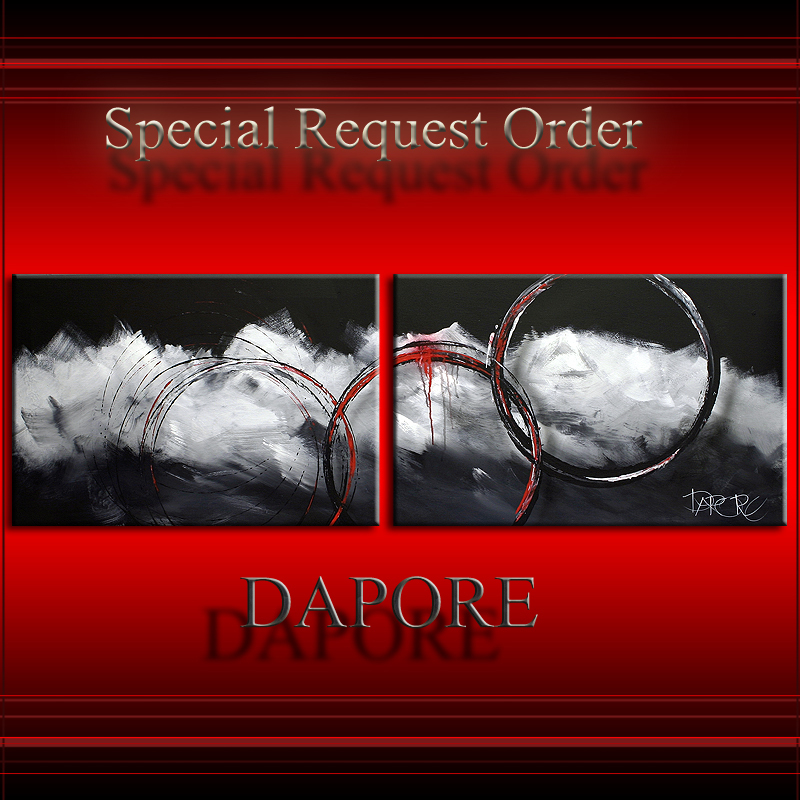 Order made to order custom commission paintings. Extra large canvas work available up to 96 inches per single canvas. Gallery Dapore online offers hand stretching of canvas per order request. 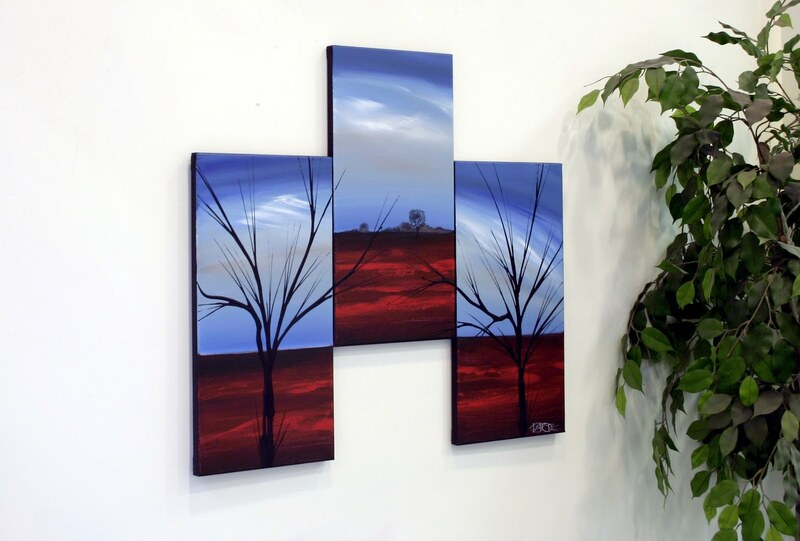 Find a artist that will paint per request for custom paintings by commission. Hand building a large canvas for a clients custom commission. Two new art releases of original acrylic floral themed paintings on stretched canvas. 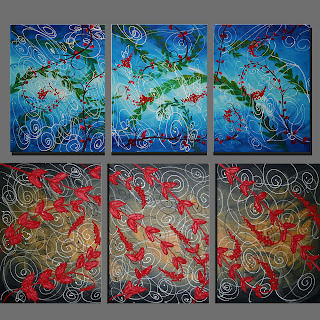 Each is a large 24 by 54 inches on three canvases of 18x24. This is a new modern design style by artist Theo Dapore located in Cleveland, Ohio, USA. 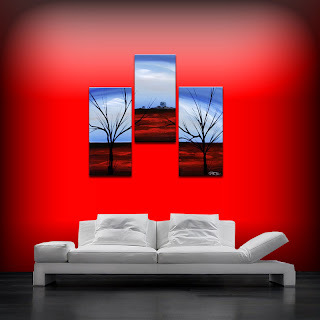 This is the start of a new design concept and the first two are in primary red and blue. 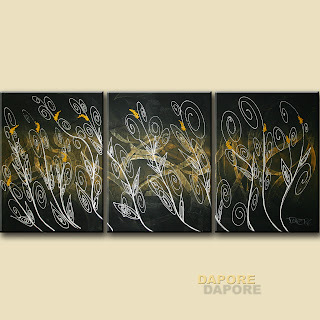 The concept is a decorative modern feel of flowing fluid mellow movement. 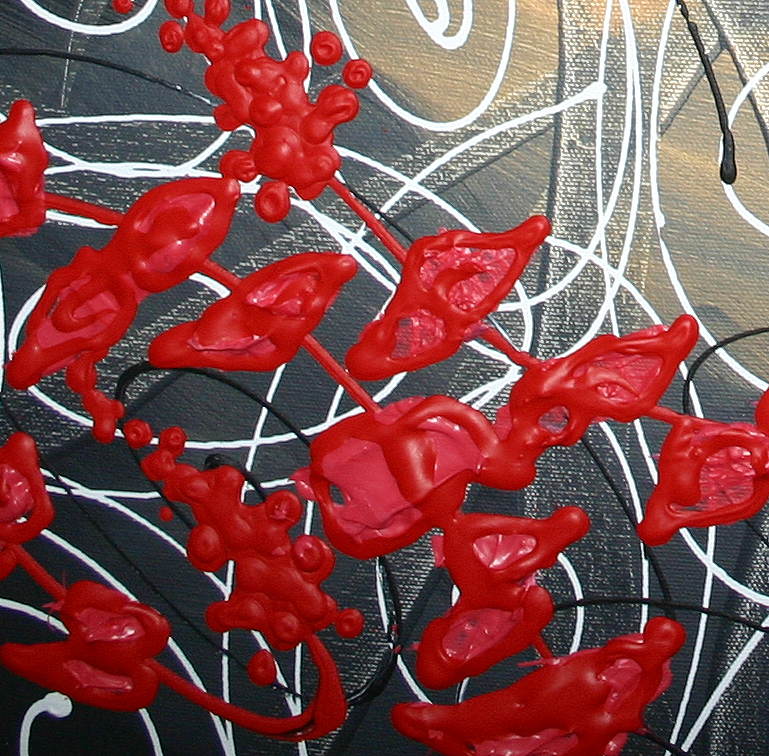 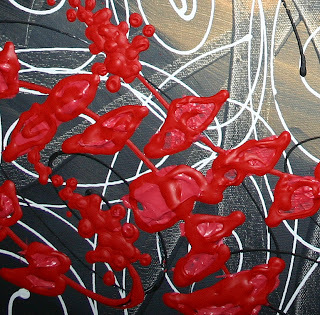 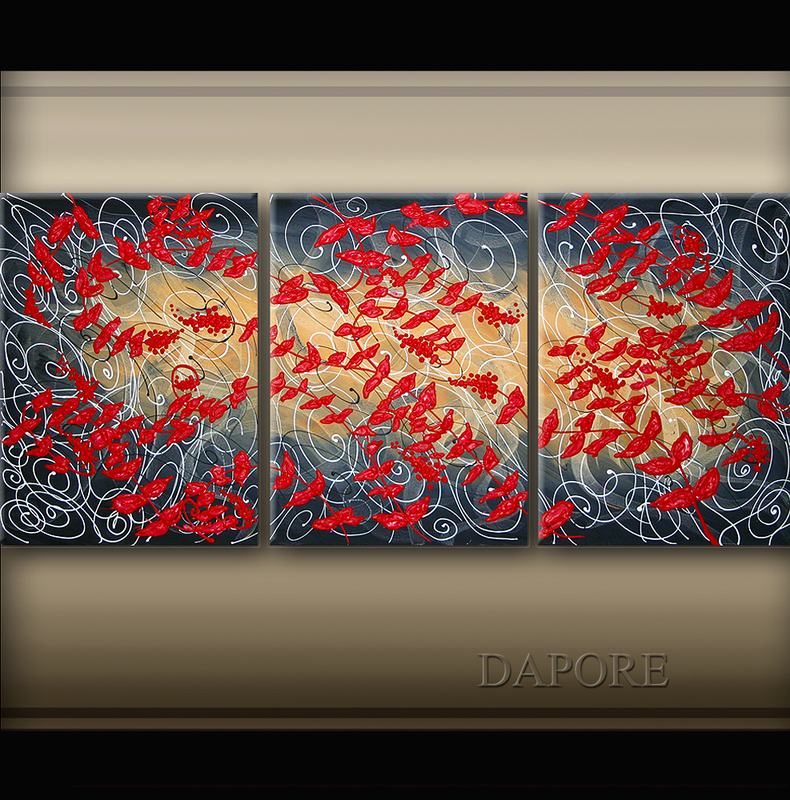 The red painting features a raised thick application of paint which is raised on the canvas. 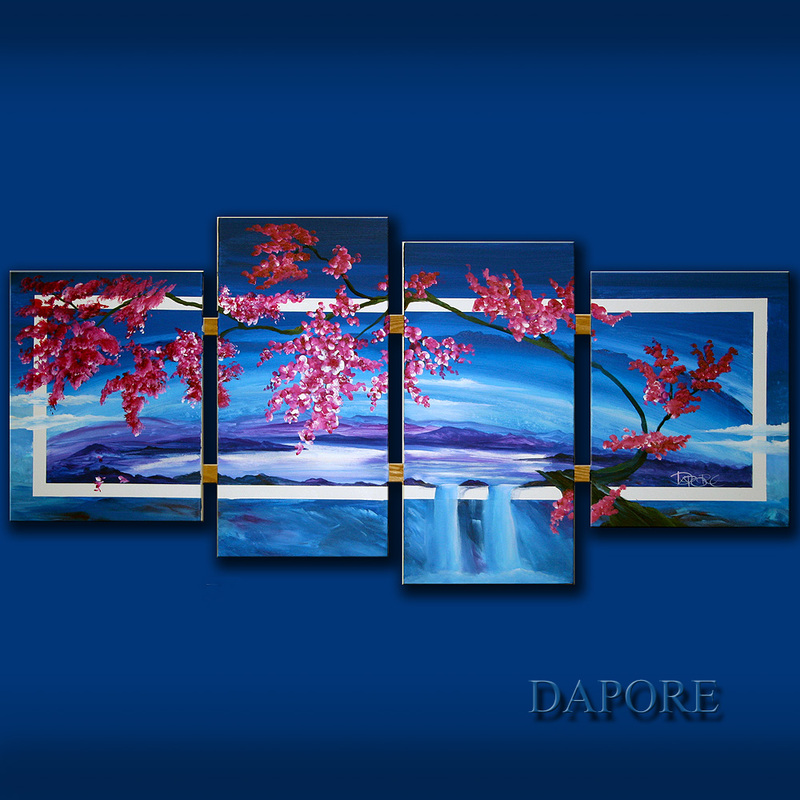 At this time the concept is also available by special order custom commission. 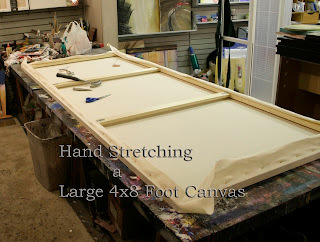 The gallery is experienced with hand stretching large format canvas with a maximum size of 96 inches per canvas. 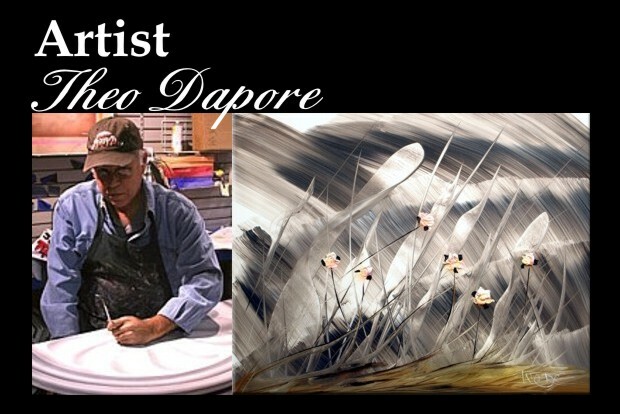 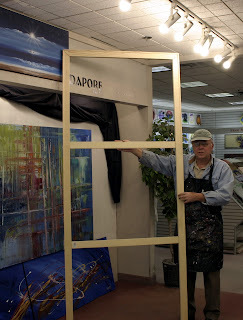 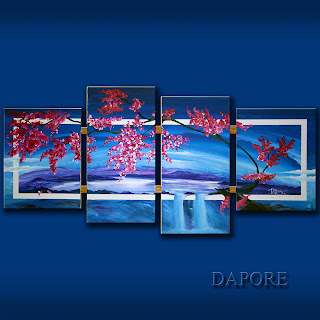 Artist Theo Dapore offers original modern landscape, floral, and abstracts fine art paintings. 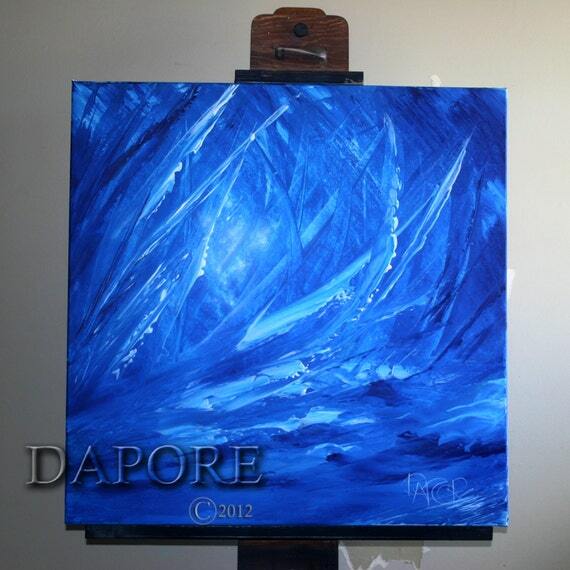 Here you may buy art for sale direct from the artist. All paintings are signed dated and titled. Registered with the National fine arts title registry. 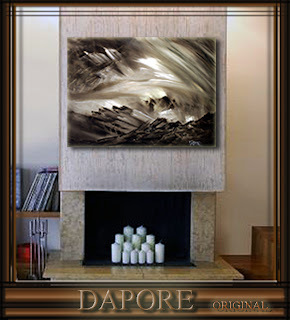 Abstract landscape in values of deep dark browns. Gallery wrapped on a heavy duty frame of 1.5 inches. 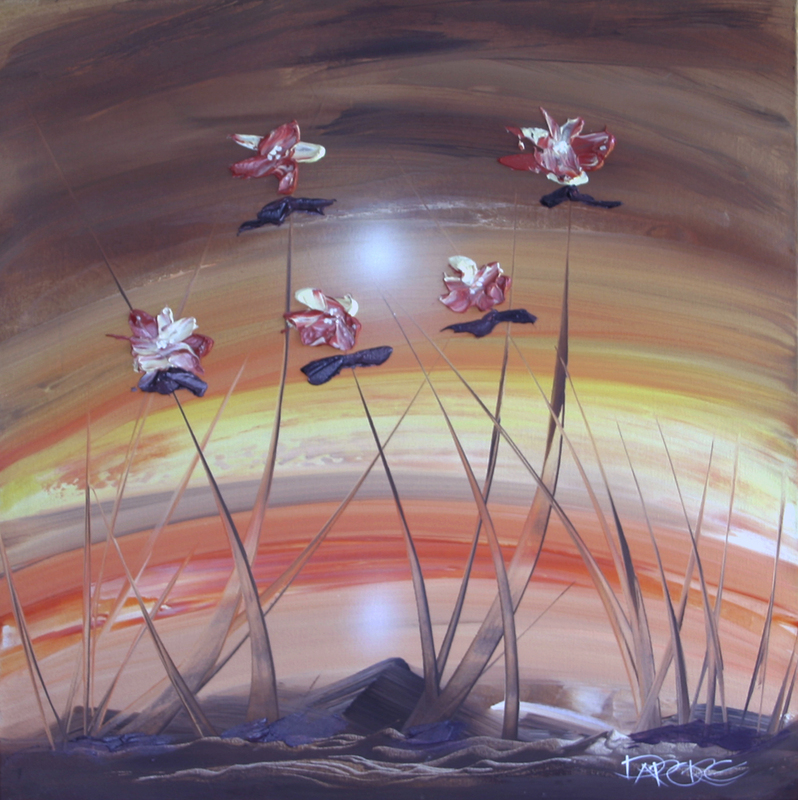 Here is a popular painting which has been purchased by a client in Denmark. 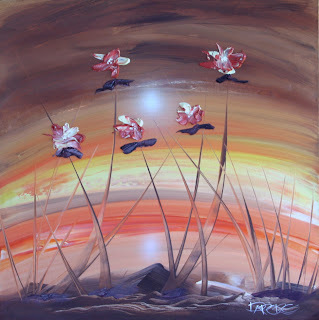 Though the painting has been taken I still receive request to paint similar paintings. 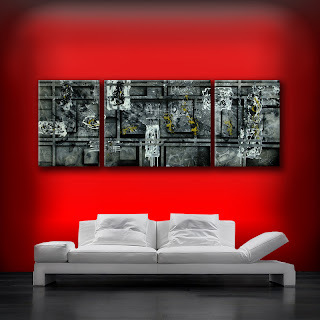 Some with a different color combination, some clients have request a different size for the three canvas sectional set. 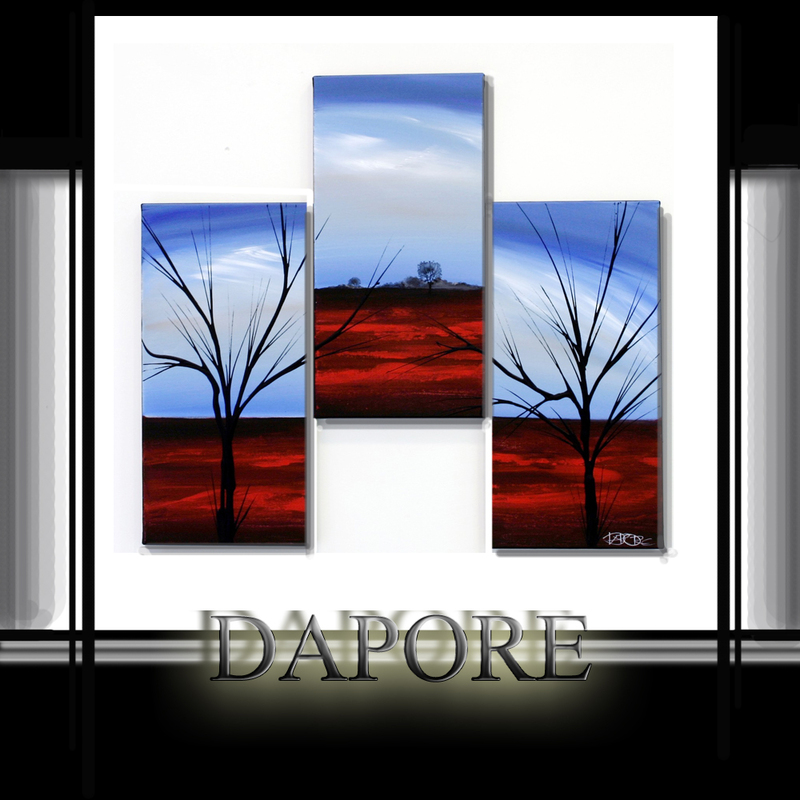 The custom commission option is available and Gallery Dapore has set up a system that assure client satisfaction with a commission guarantee. 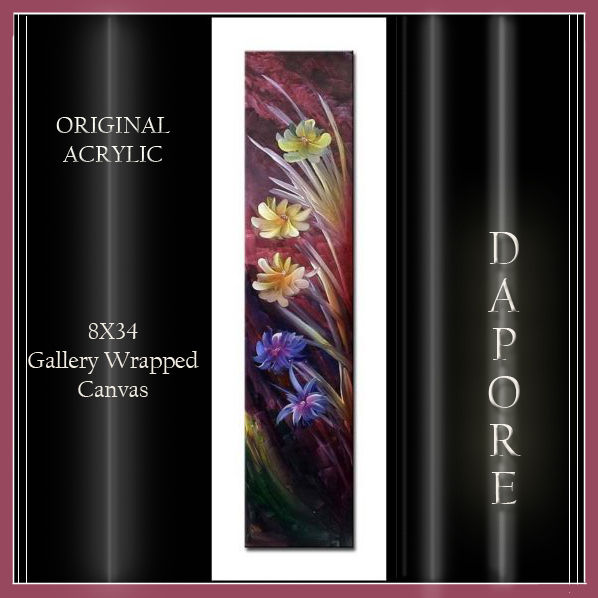 on stretched gallery wrapped canvas. 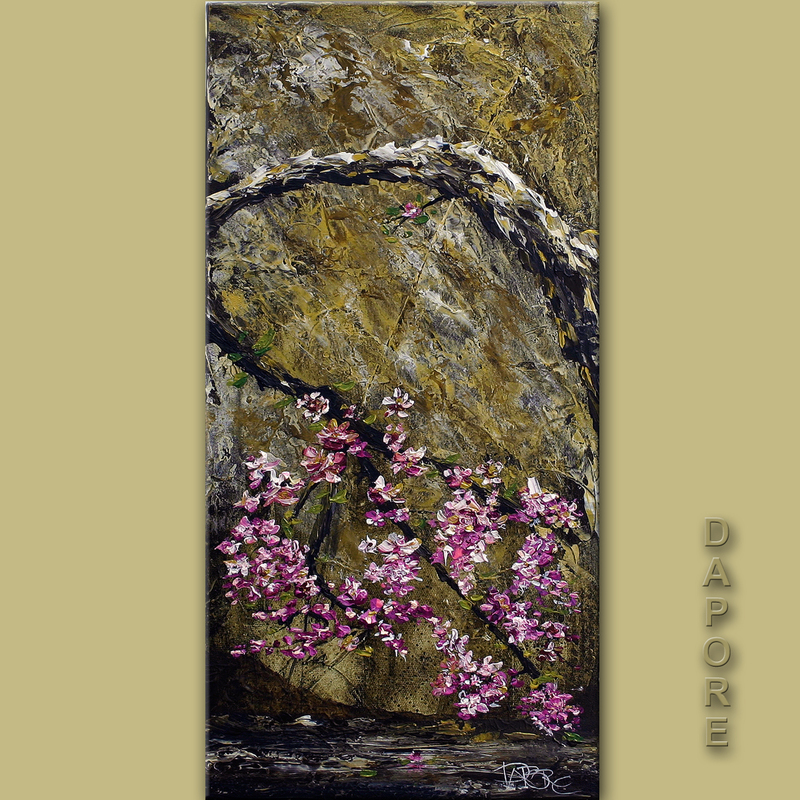 View details about this unique acrylic fine art painting with a textured impasto tree.